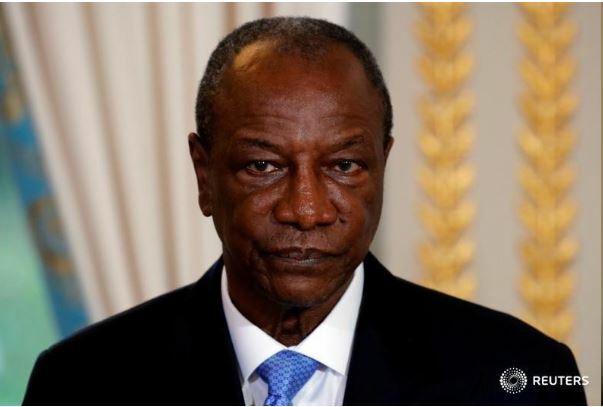 Facing civil unrest and strikes in the crucial mining sector, Guinea’s President Alpha Conde reshuffled his government overnight, appointing new finance and security ministers among others. No official reason was given for the sweeping changes, announced by state TV on Sunday, which followed the appointment of a new prime minister, Ibrahima Kassory Fofana. The changes came amid heightened political tensions and speculation that Conde may be seeking to modify the constitution ahead of a 2020 election. Guinea is Africa’s top producer of bauxite, the ore of aluminium, and Conde’s government has faced repeated strikes by mineworkers, as well as teachers and has seen civil unrest over local elections. It has also suffered embarrassment over allegations by French authorities that billionaire tycoon Vincent Bollore’s conglomerate backed Conde’s election campaign in exchange for a port concession. Both Bollore and Conde deny any wrongdoing. In his reshuffle Conde replaced 13 out of 33 ministers in his government. Finance Minister Maladho Kaba was sacked and replaced by Mamady Camara, Guinea’s former ambassador to South Africa. Her deputy, Budget Minister Mohamed Lamine Doumbouya, was replaced by former central bank official Ismael Dioubate. Security Minister Abdoul Kabele Camara, in place since Conde’s election victory in 2010, was replaced by Alpha Ibrahima Keira, a loyalist from the regime of dictator Lansana Conte, who died in 2008. As well as bauxite, Guinea has some of the world’s largest deposits of iron ore, but decades of mining have failed to lift most Guineans out of poverty. About 10 people were killed in February and March when riots erupted in the capital Conakry and other cities following local elections, which the opposition said were marred by fraud. Conde’s opponents also fear he seeks to modify the constitution to stand for a third term in 2020. Conde has not yet commented on his intentions, but speculation over them has had a destabilising effect. Posted by Above Whispers on May 28, 2018.